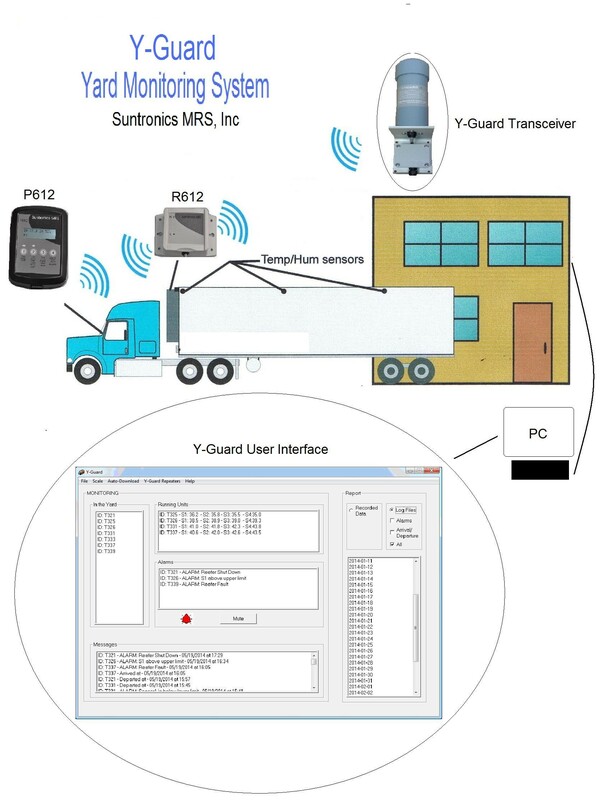 The Y-Guard System has been designed to monitor and keep record about temperature and or humidity as well as reefer status of trailer, trucks, etc. equipped with Suntronics R606 or R612 units while they are in the Yard. 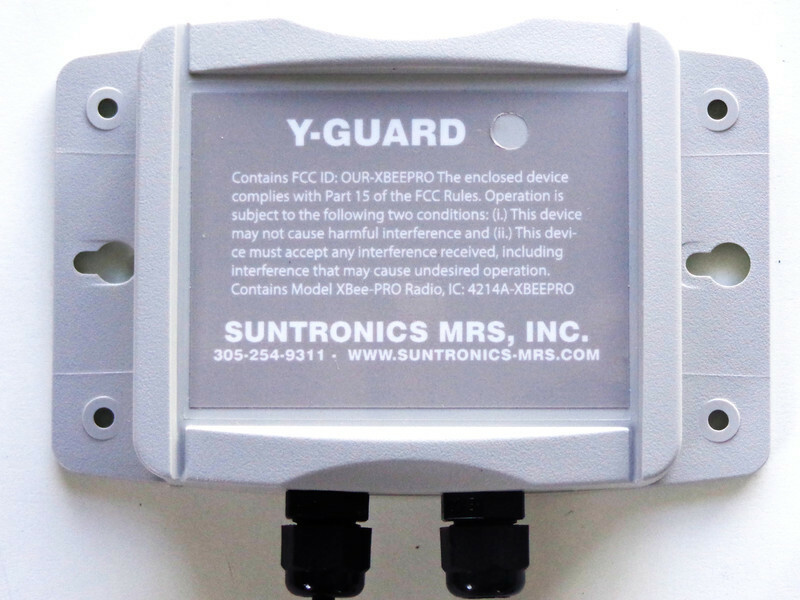 Y-Guard Repeaters: since the use of RF signal has limitations and the yard may have obstructions (buildings, etc.) in between the Y-Guard Transceiver and the units, sometimes the use of repeaters is necessary to get complete coverage of the entire yard. 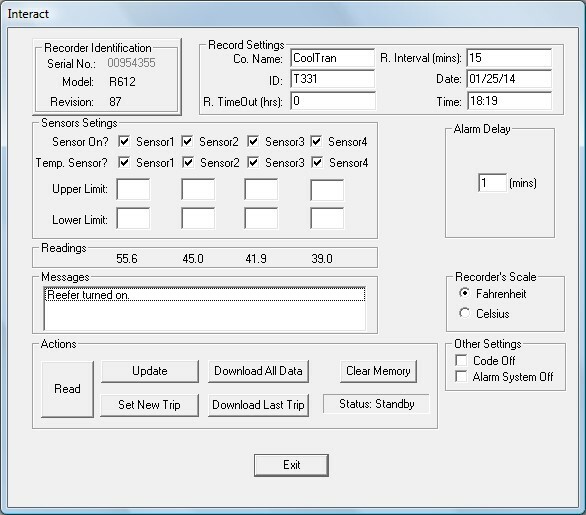 R-612: this is a temperature/humidity data monitor and recorder mounted on the trailer, truck, or unit to be monitored. 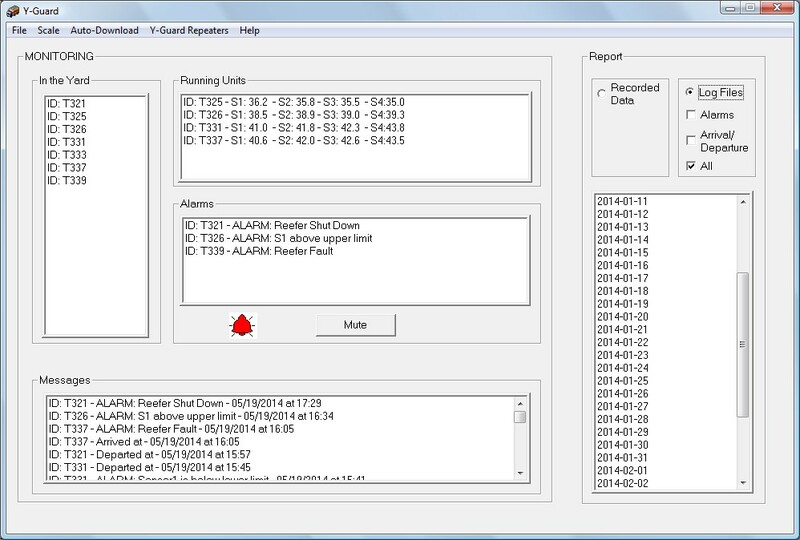 Y-Guard can also monitor R606+T701 existing units, though Suntronics do not offer these units anymore. 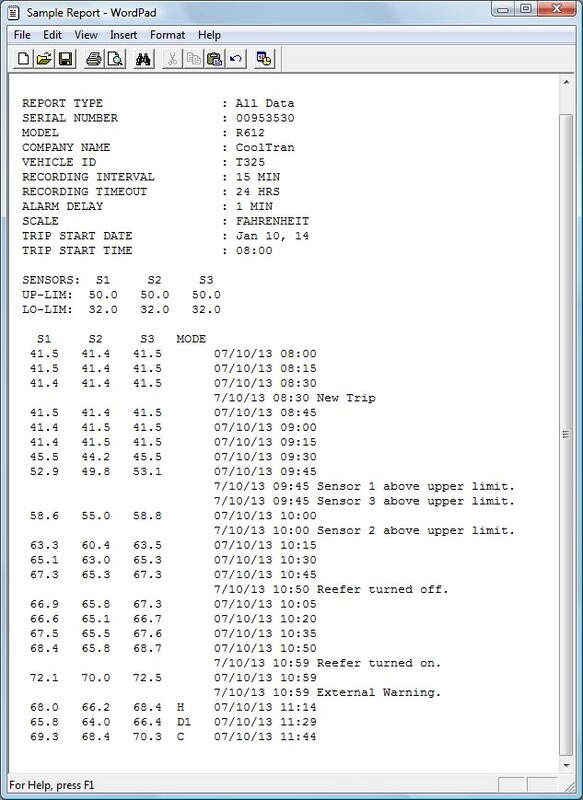 P612: this is a CAB display/interface for the driver to monitor cargo conditions while on the road. It is an option and not a requirement of the Y-Guard System. Alarms: out of range, reefer fault, door opening, reefer shutdown. 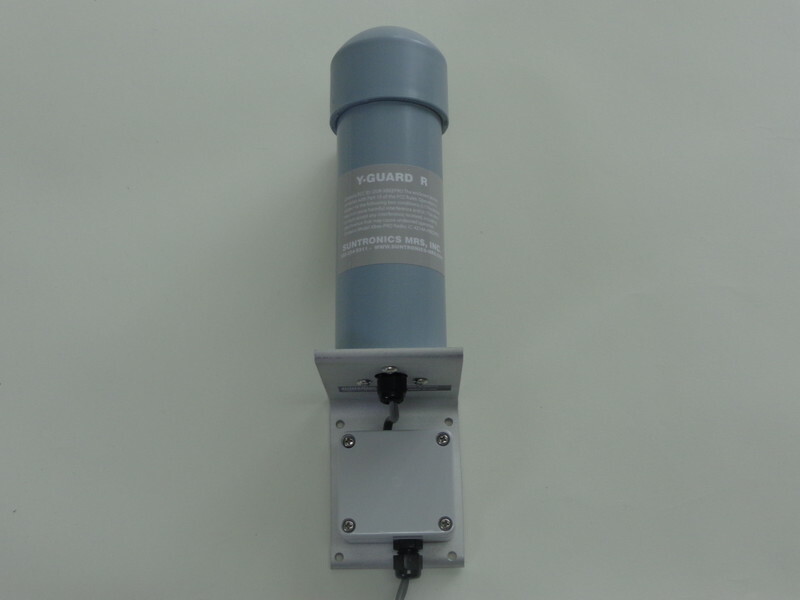 Y-Guard Transceiver: mounted on the outside of the building to communicate via RF with units in the yard. Power directly from the USB port. 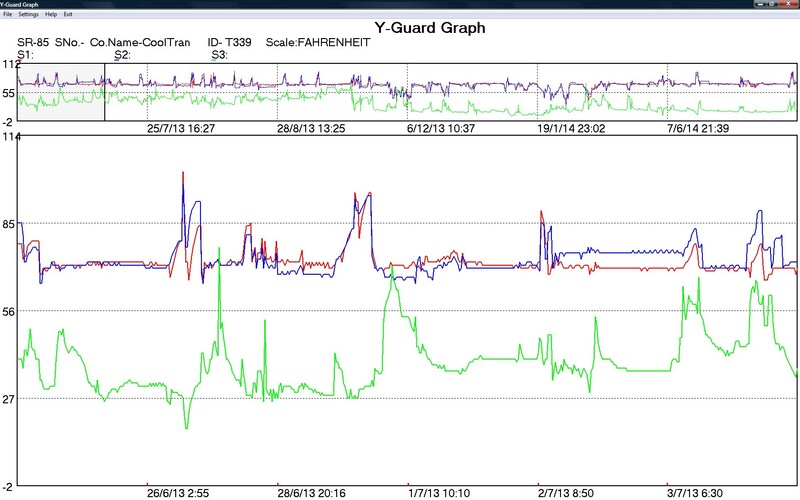 Y-Guard Repeaters: since the use of RF signal has limitations and the yard may have obstructions (buildings, etc.) in between the Y-Guard Transceiver and the units, sometimes the use of repeaters is necessary to get complete coverage of the entire yard. Plugs to 110-220 VAC power outlet.